Australia , it’s like a new California: a paradise, a land side of the world, the promise of extraordinary adventures and landscapes breathtaking. Between the red outback tracks , thousands of kilometers of beaches and extraordinary biodiversity, visiting Australia is putting on your Indiana Jones hat to discover an out of the ordinary nature. But then, what to see in Australia and where to go to enjoy its most beautiful shows? 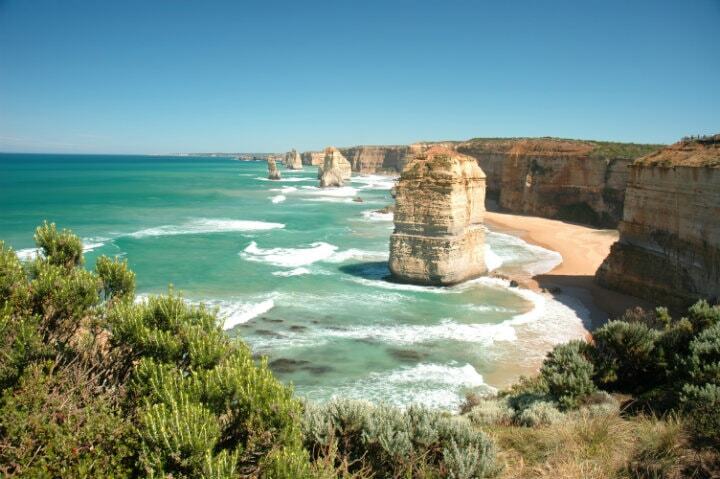 Here are the 12 most beautiful natural sites in Australia! 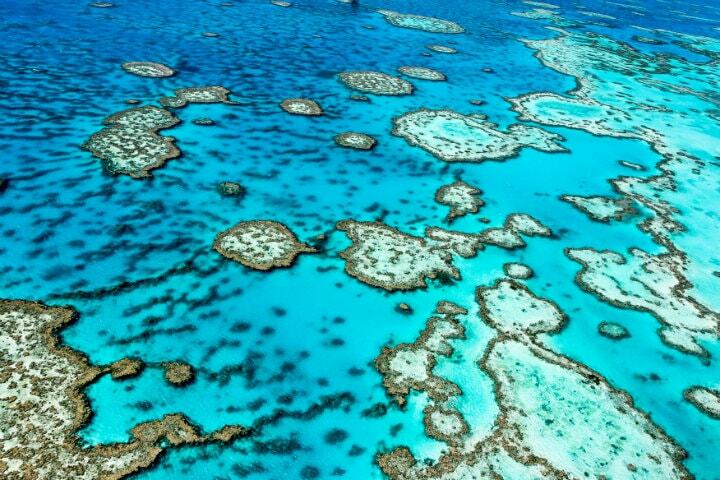 If Australia is dreaming millions of travelers, it is partly because of it: the world’s longest coral reef , the Great Barrier Reef stretches more than 2,300 km from north to south of the coast is Australian. A dream place for divers and snorkelers, there are many ways to admire it with a simple mask and snorkel or by plane to fly over the multitude of colorful islands available to you. Numerous domestic and international flights serve Cairns Airport . From there, you’ll be able to visit one of the coastal cities such as Port Douglas, Townsville, Bundaberg, Rockhampton, Mackay, Mission Beach or Airlie Beach to embark on a day cruise … or more! Note: The best time to get there is between June and October. 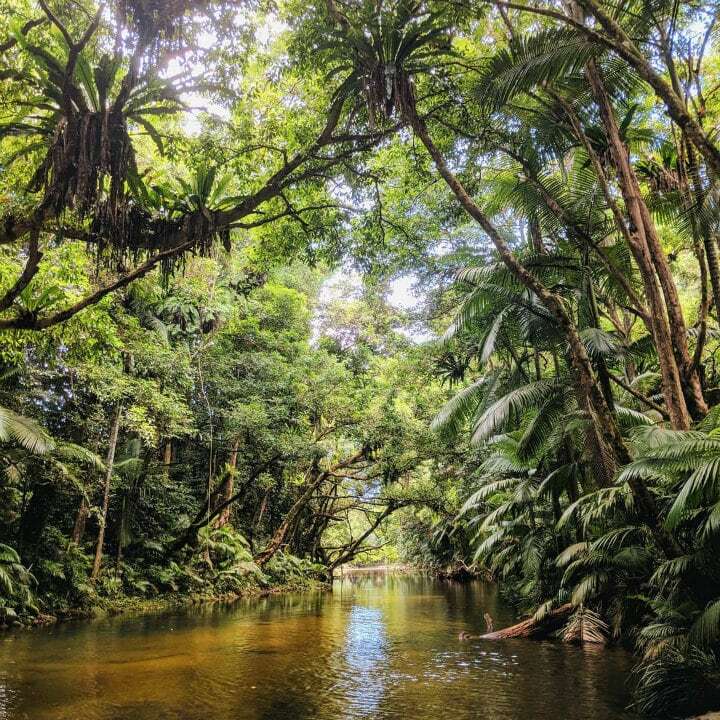 Head to the northern tip of the country to discover the Daintree Rainforest. From Port Douglas to Cape Tribulation, take a few days (at least 2) to cross this symbol of Queensland considered the oldest rain forest in the world and stop on its deserted beaches: Kulki Beach, Cape Tribulation Beach, Myall Beach or Noah Beach. 3. The most beautiful beach in Australia? 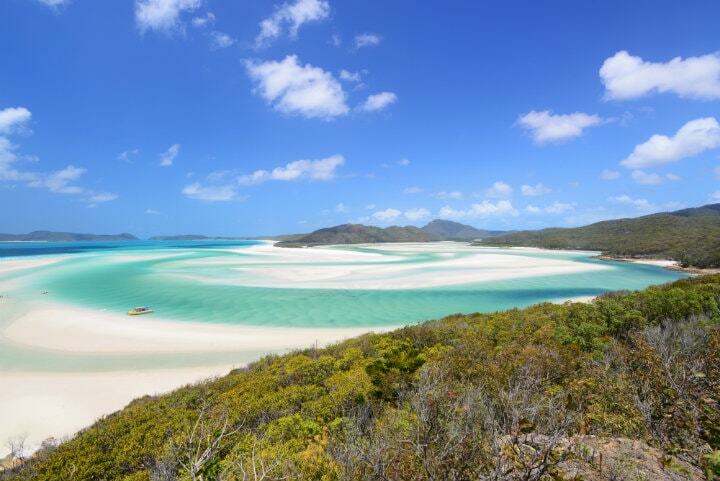 Whitehaven beach! A true paradise on earth, Whitehaven Beach is part of the Whitsundays Archipelago : 74 paradise continental islands scattered between Mackay and Airlie Beach. To get around, the best way is to cruise through its islands. Many providers are present at Airlie Beach or Hamilton Island. On the program : seabed observation, tanning and walk to Hill Inlet to take the most beautiful picture of your stay! On this only 300-kilometer route from Melbourne to Adelaide, you’ll find all that Australia has to offer: kilometers of surfing beaches and unique wildlife … it’s all there no doubt about one of the best places to see koalas in their natural state! The highlight of the show? The arrival to the 12 apostles, these amazing limestone towers more than 45 meters high, like the cliffs of Étretat. Traveling to Australia’s most iconic natural site is a step back in time to immerse yourself in Aboriginal culture. 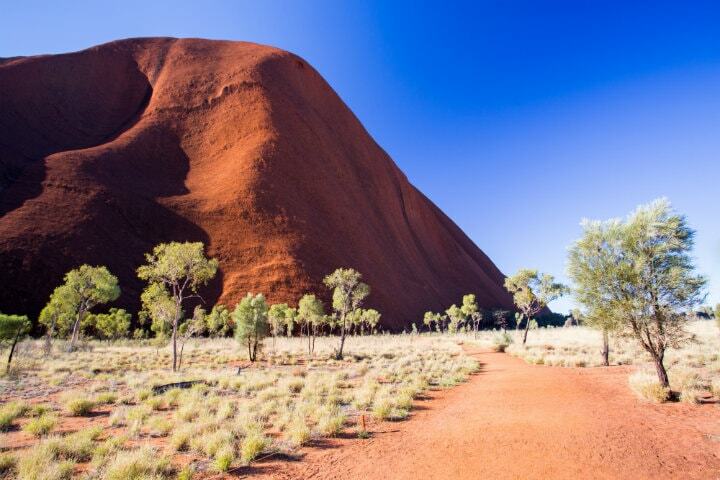 Head to Uluru (also known as Ayers Rock) at sunrise or sunset to admire this sacred site of unique beauty. Are you in the area for a few days? 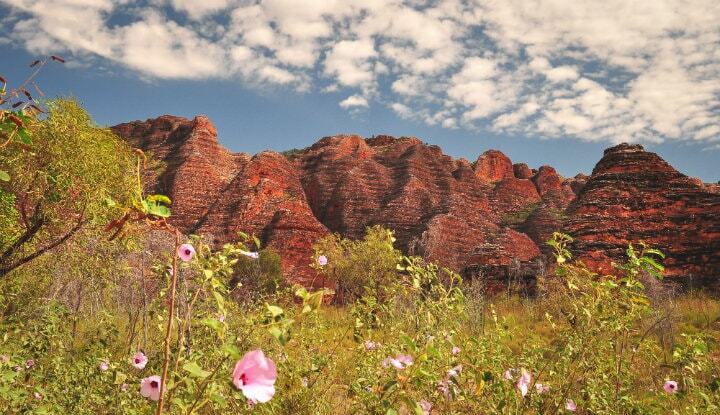 Go on a hike in the Kata-Tjuta (or Olgas Mountains) or see the impressive Kings Canyon . With no less than 21% of its territory classified as a national park, the smallest state of Australia is a true paradise for hikers. For the more motivated, go for the Overland Track , or the remote South Coast Track for an unforgettable experience. Who knows, maybe you’ll be lucky enough to come face to face with a Tasmanian devil! Note that to get around Tasmania the easiest way is to take a flight to Hobart and then rent a car directly on the spot. The best time to travel to Tasmania is between December and March: the best way to escape the European winter! A beehive-shaped dome chain: this is the kind of unusual natural site that Purnululu National Park offers you in the Kimberley region in the north of the country. Listed as a UNESCO World Heritage Site since 2003, the massif was only discovered … in 1983! Aside from the spectacular hikes that await you, you can also fly over the park by helicopter if your budget is right! Note : the park is not open all year and closes during the wet season (usually from November to April). So be sure to inquire before you go there. Yes good, still a national park but what do you want, Australia offers such a concentration of extraordinary natural sites that it is hard to choose! Why visit it rather than another? 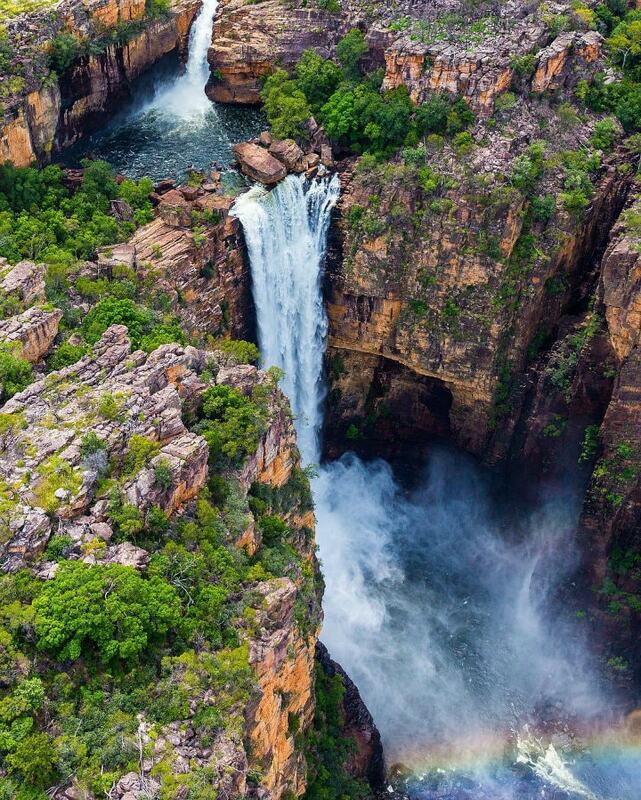 Let’s put aside the fact that it is the largest national park in the country (it alone is the size of France): Kakadu is mostly the highest falls in Australia (the Jim Jim falls ), of exceptional Aboriginal rock art , a wildlife and unique flora! Do you want more? Do not miss the nearby Litchfield National Park . 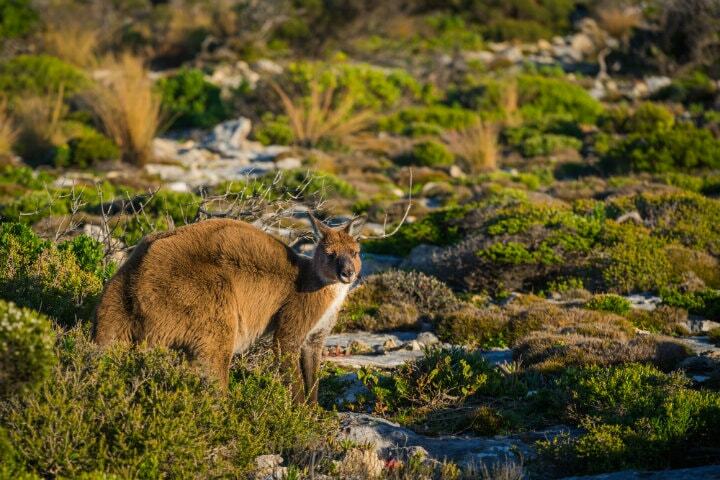 Condensed from South Australia, this island off the coast of Adelaide has great surprises for you: meetings with koalas, pelicans, sea lions and, of course, kangaroos! 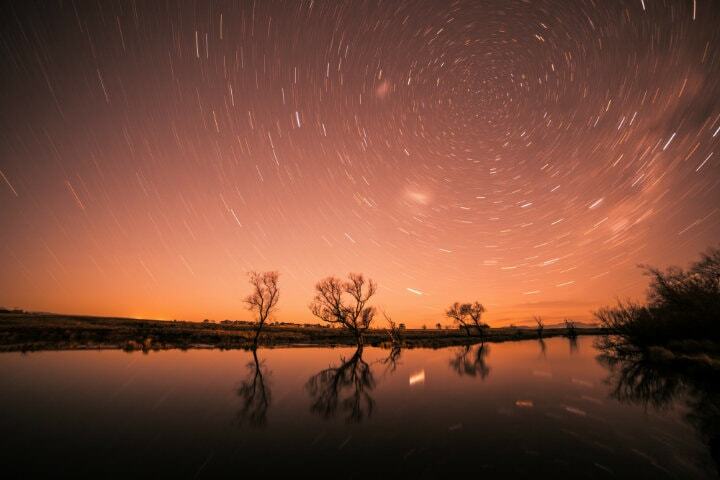 If it passes in two hours by car, we advise you to stay at least one night to enjoy its incomparable starry sky. Note : There is no public transportation on the island, so you will have to travel on your own by renting a car or passing through a local travel agency. We are now heading towards Perth where you will find one of the most spectacular natural sites in the country: Hillier Lake. 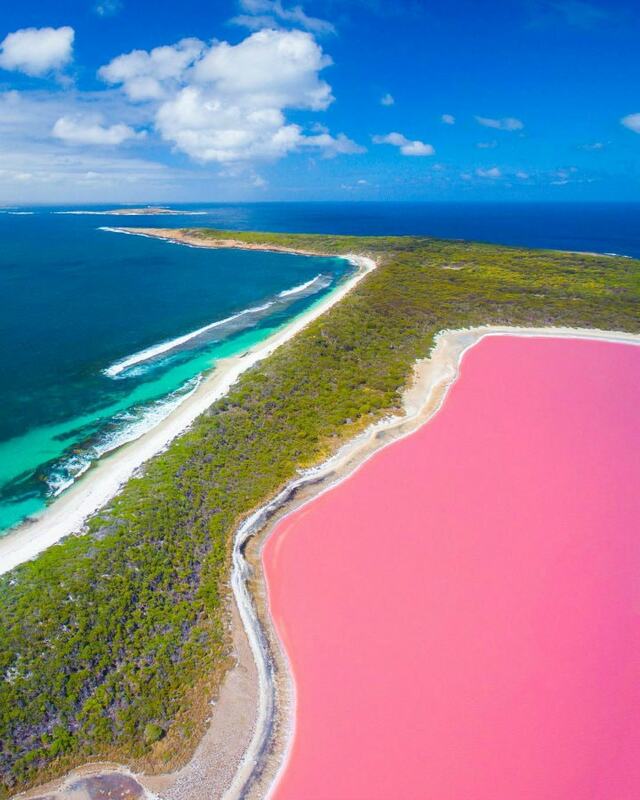 Located on Middle Island, off Esperance, this 600-meter long lake is tinged with a fascinating pink color whose origin is still debated. If flying over it is the only way to observe it, know that there are other pink lakes in the region such as Pink Lake, which is observable from the mainland. You are more sea than land? So Shark Bay is for you! 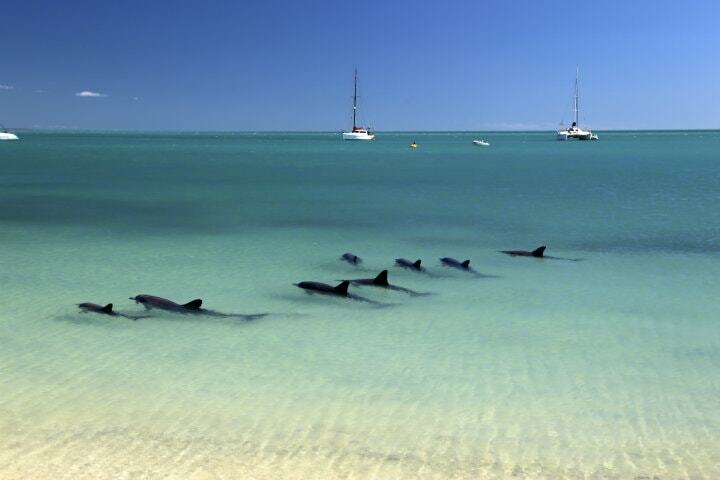 Considered one of the largest marine reserves in the world, it is best known for Monkey Mia and its wild dolphins foraging near the shore. Nestled in the François Perron National Park , this is the perfect place for a kayak trip in search of dolphins, manta rays or even whales! 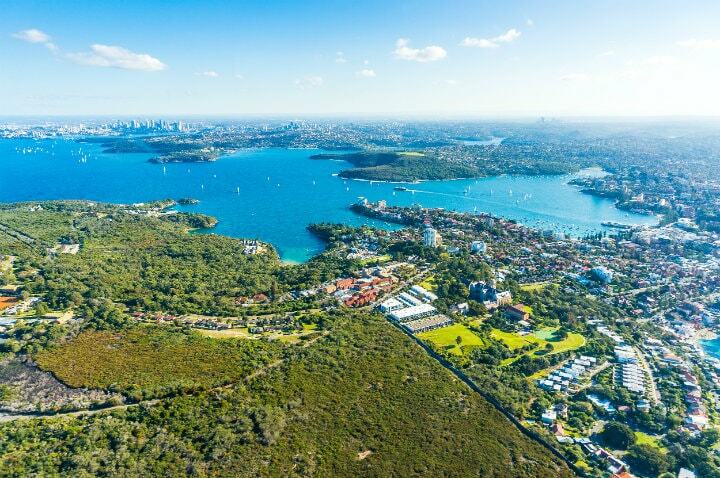 Last but not least, what would be a trip to Australia without a stop by the iconic Sydney Bay? If you thought the city was not for you, you may change your mind when you get here! Do not miss it: the coastal path connecting Bondi beach to Coogee beach or those walking around the Manly district . And to eat the best fish and chips of your stay, go by ferry to Watson’s Bay where you can enjoy the best point on the city center! So, seduced by the idea of ​​a trip to Australia?